In today’s saturated sports performance market, there are eBooks that surface left and right on various topics with an underlying motivation to make a profit. Most of these manuals turn out to be promotional platforms written by individuals who have never actually coached athletes in a team setting. Real coaches want to cut through the creative formatting and flashy marketing without reading through another theoretical guide based not on anecdotal evidence but on personal beliefs. This is not that kind of eBook. Make no mistake, Joe Kenn’s “The Coach’s Strength Training Playbook for Football: A Championship Program” is anything but watered-down and solely theoretical. 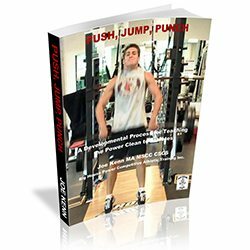 Coach Kenn opens the doors to an entire off-season of training in a detailed format. This data was collected during the off-season training of a highly successful team in a BCS conference with a number of NFL drafted players. No component of preparation was left undocumented including sets, reps, percentages, target times, and performance testing data. There is a reason Joe “House” Kenn is arguably the most decorated and influential strength & conditioning coach in the industry. His attention to detail, straightforward guidance, and unwavering integrity is evident in every one of the 280 plus pages. Coaches that truly want to help their athletes succeed on the football field and in the weight room will appreciate the effort and honesty of Coach Kenn’s writing. This is the type of information that strength coaches covet and will flourish with. A must read for any coach beyond the over-simplification of athletic performance. 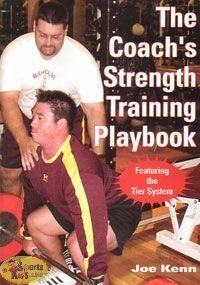 “The Coach’s Strength Training Playbook for Football: A Championship Program” is written from the sack. Words Win.